A new twist on pickled garlic. Gilroy garlic cloves in a teriyaki brine. A delicious condiment or relish tray addition. Throw them in stir fry or salads for a little zing. Mmmmmm. 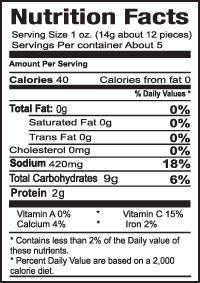 Ingredients: Garlic, water, salt, distilled white vinegar, teriyaki sauce (naturally brewed soy sauce, water, wheat, soybeans, salt, wine, sugar, spices, onion powder, succinic acid, garlic powder, sodium benzoate (1/10 of 1% as a preservative)), lactic acid, trace sodium benzoate (as a preservative). 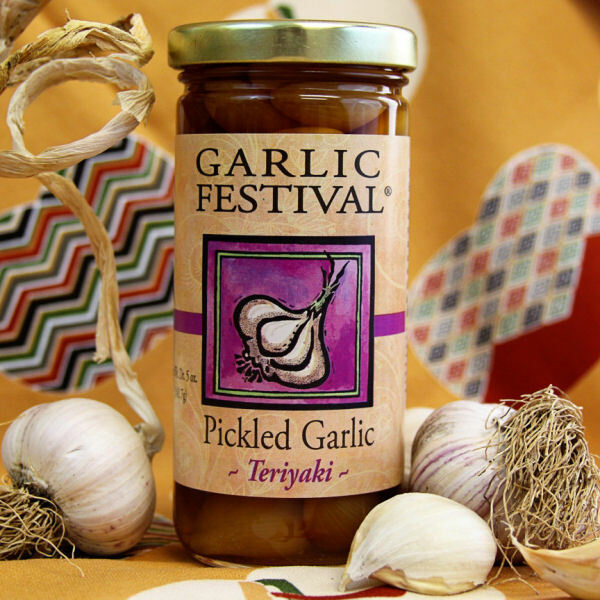 Bought this as a stocking stuffer this year---we missed Garlic Festival at the big tent during the balloon fiesta and my daughter was so disappointed. This will make her day! 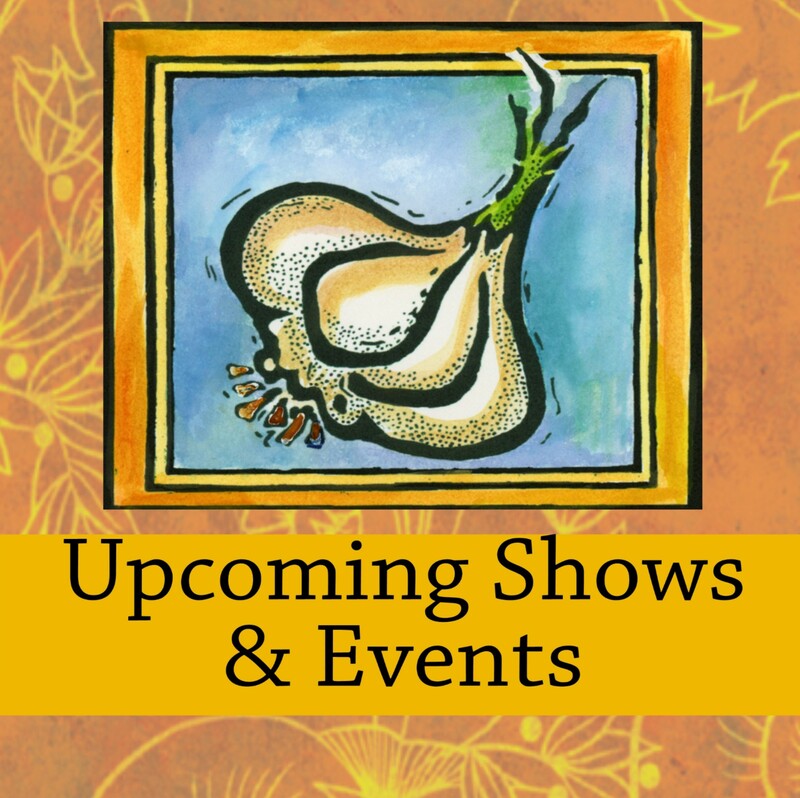 Love these garlic cloves, they go with everything or good just by themselves. Fantastic taste. This is my favorite. Can't stop eating them! Will definitely purchase this item again! Tried this at a festival (amongst others) and this is a DELICIOUS garlic. The garlic compliments the teriyaki and vice versa. Neither overpowers the other but neither is strong enough to warrant not eating them straight from the jar!